As with all things, architecture continues to evolve. 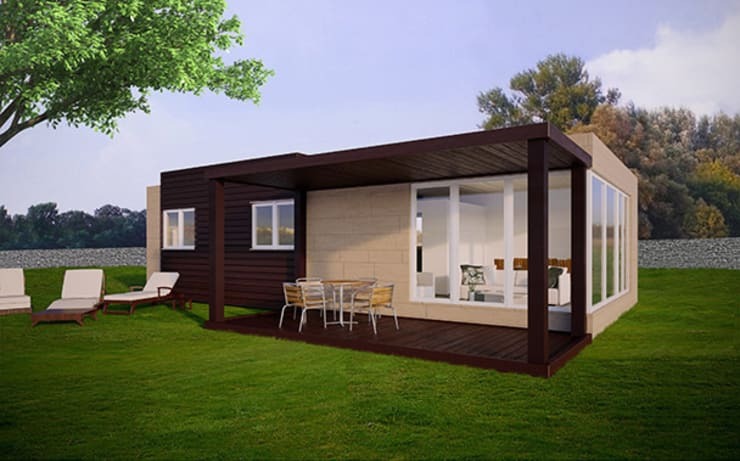 And one of the most interesting developments in recent times is prefabricated homes. Today’s homify 360° discovery takes a look at your typical prefab building, albeit one that flaunts a most modern look. Linear designs, neutral colours, no embellished decorations – yup, it’s the modern style. This little prefab home flaunts a contemporary look that will make it fit like a glove in a stylish and upmarket residence. Dark wooden panels and creamy stone surfaces present the perfect contrast in terms of both colour and material, while only a handful of windows can be seen in the front side of the house – perfect for those of us who value privacy. The same house from a straight-on view – or is it? 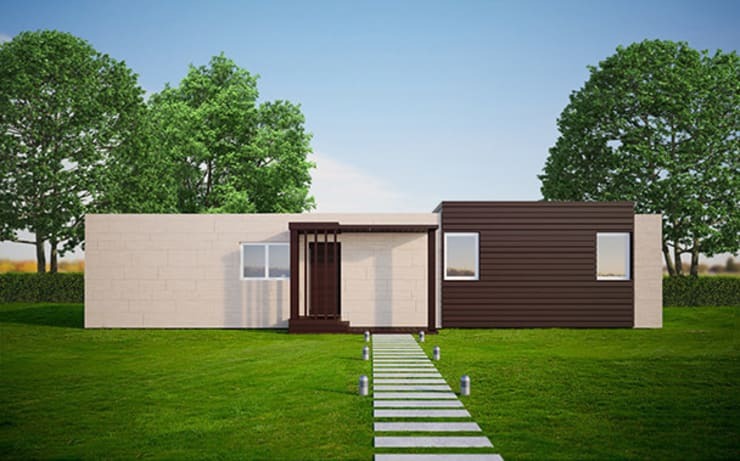 Yes, it is still a prefab home, but our designers at Casas Cube have switched the front façade with another one of their creations, this time showing us a more elongated version of one of their modern designs. Notice the elegant stepping-stone path leading up the front porch, leaving an abundance of fresh lawn space open for a variety of possibilities such as gardening. The first model we viewed is back, but this time it is showing us its rear side – and what a welcoming sight to behold. Contrasting strongly with the front view, this rear side is more open and welcoming – the windows and glass doors prove that, allowing us more views of the interior setting. But we all know that the exterior setting is equally important, which is why our architects decided to treat these homeowners to a charming little porch (clad in stunning dark timber) where they can have a stylish sit-down to enjoy their surroundings. Another rear view, this time of one of the more elongated models. Just like the small version, this beauty also treats us to a nice patio perfect for relaxing and entertaining, yet includes a more open view of the interior rooms – just look at those gorgeous windows letting in a healthy dose of sunshine, blurring the boundaries between green garden and neutral-coloured interiors. Want to see more examples of prefab homes? 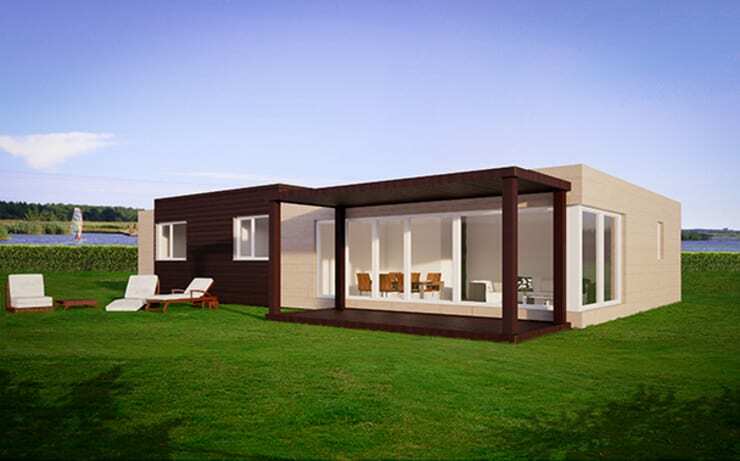 Then have a look at: A Shining Example of a Prefab Home. 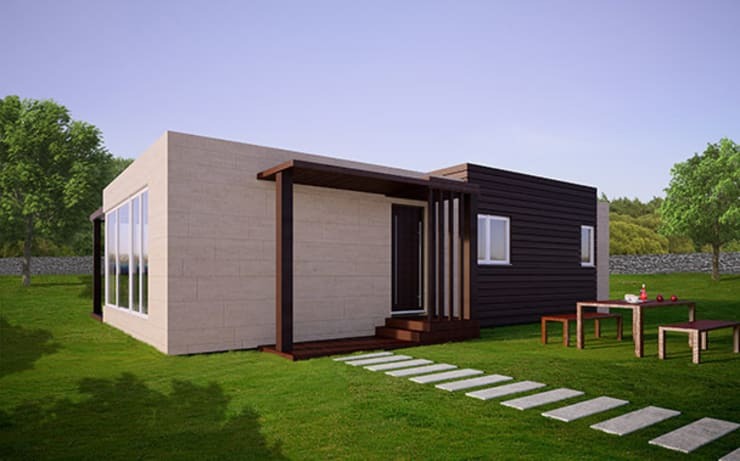 What is your opinion on prefab homes?